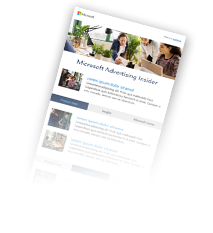 In the last post in the Bing Ads and You series, we went over collecting audience insights to anchor your marketing plan. Today, we will again leverage MaternaLIFT’s case study to illustrate how to plan a successful search engine marketing (SEM) campaign. Bing Ads teamed up with Kelly Malm, Digital Marketing Strategist and owner of Digital Conflux to develop a campaign proposal for MaternaLIFT. The following insights summarize what we've learned from Kelly while crafting the plan. 1. The ultimate goal of any marketing campaign is converting prospects into lifetime customers. Keep this top of mind then next time you create an SEM campaign proposal for your clients. 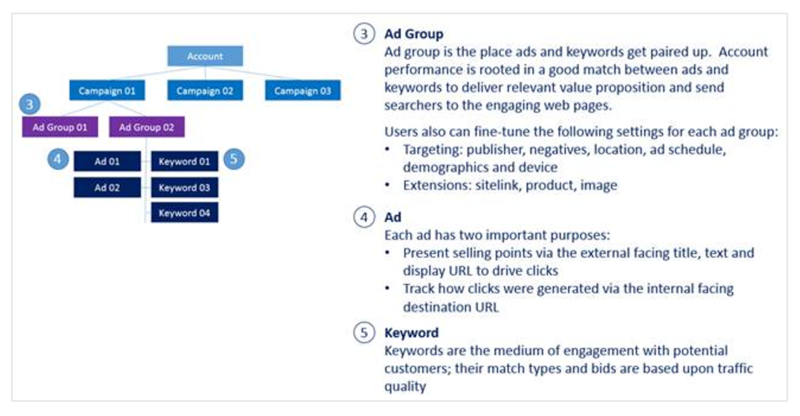 To create a campaign proposal for MaternaLIFT, we studied the business’s web analytics data to assess our paid search channel’s contribution to its total visitor volume, estimate the additional paid search traffic generated by the campaign and what the long-term impact on other visitor channels may be as a result. 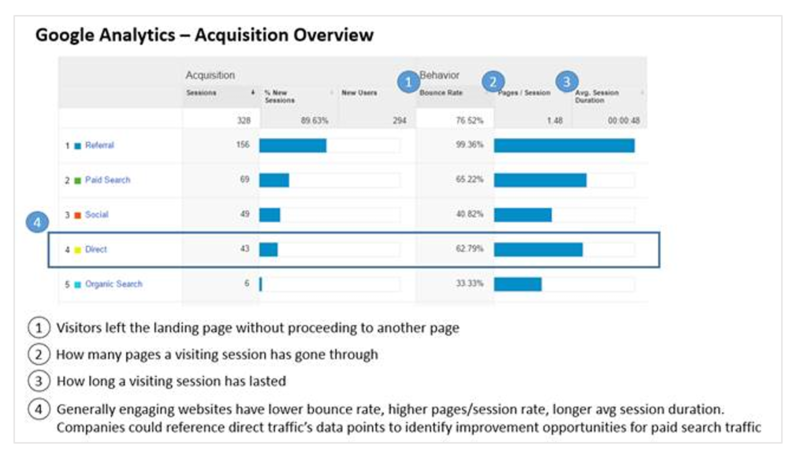 We also leveraged MaternaLIFT’s web analytics data to assess how visitors react to different landing pages and focused on those with the highest visitor engagement (lower bounce rate, higher pages/session and session duration) to craft our proposal. 2. SEM is all about having a measurable outcome. Don’t rush the process of carefully defining your goals and success metrics, a critical feature of a promising campaign proposal. 1. Identify web events contributing to MaternaLIFT’s business objectives and list conversion trackers we will deploy. 2. Assign value to each type of conversions based upon MaternaLIFT’s input - different activities contribute different values to your business (e.g. scheduling an appointment has higher value than signing up for newsletter), assign proper value for each type of conversions enable business to properly measure return on ads spend. 3. Study your client’s business structure to recommend the optimal campaign structure for that business in your proposal. 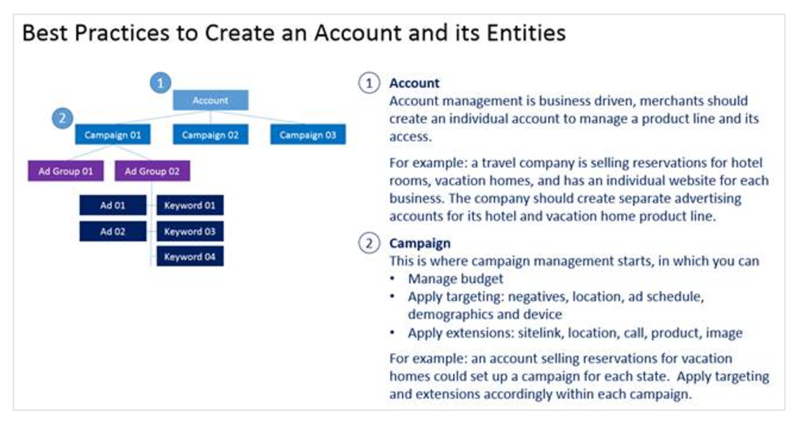 Mirroring your SEM campaign structure with your client’s business structure will enable you to apply business information unique to that merchant into the SEM campaign, making it easier to coordinate online and offline marketing down the road. 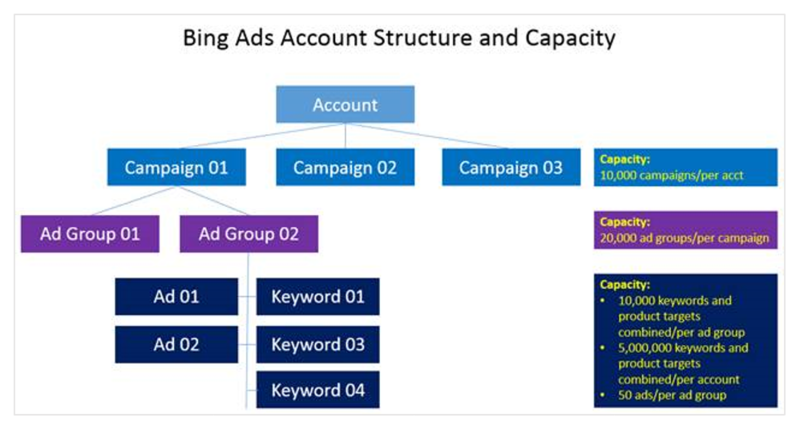 We leveraged the following charts to help MaternaLIFT’s understand a traditional SEM campaign structure and best practices before brainstorming on how we will reflect its business structure on its new SEM campaign. With your search engine marketing plan’s relatively short shelf life (given the accelerated pace of new products and a constantly changing marketplace dynamic), it’s more important than ever to regularly review and update that plan. Through this project we've learned that there's a steep learning curve on how to grow a business and how to develop a campaign; this blog post series aims to help busy merchants like you learn more about the foundation of digital advertising.